Mindless Speculation: Is Steve Rogers Returning As Captain America Next Year? 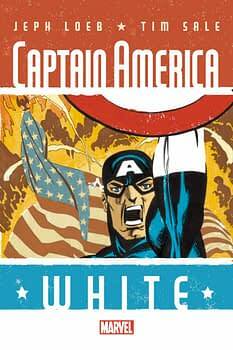 Home » Comics » Mindless Speculation: Is Steve Rogers Returning As Captain America Next Year? In the comics, Steve Rogers is no longer Captain America. He lost his super soldier serum anti-aging powers and now looks as old as if he had never received it. 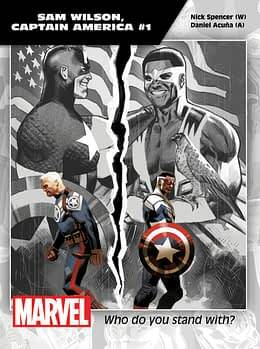 He relinquished the title of Captain America to Sam Wilson, The Falcon, who is now the lead in the comics. Well, next year is the 75th Anniversary of Captain America. He has a new film, Captain America: Civil War. Free Comic Book Day is giving away a Captain America #1 (though no cover is revealed). The Avengers Standoff event will have Steve Rogers Vs Sam Wilson Vs Bucky Barnes. And ABC will be Marvel’s Captain America: 75 Heroic Years, a one hour long documentary about Captain America that will in no way be painted as a puff piece just because ABC and Disney are both owned by Marvel. But it will include contributions from Stan Lee, Joe Quesada, Clark Gregg, Ming-Na Wen, Chloe Bennet, Jeph Loeb, Louis D’Esposito, Chris Evans, Hayley Atwell, and the family of Joe Simon and Jack Kirby. It’s on Tuesday 19th January, 8pm, just before the Agent Carter season two premiere. 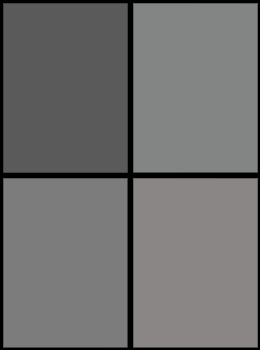 And it is meant to include an exclusive announcement from Marvel Comics. Could it be the return of Steve Rogers to the suit instead of Sam Wilson, in time for the Civil War movie and a new Captain America #1 to 2016? If so, could Larry Wilmore extend his Unblackening Of The White House regular feature on the Daily Show to include Cap? And where then Sam Wilson, now we know who the next Falcon is?